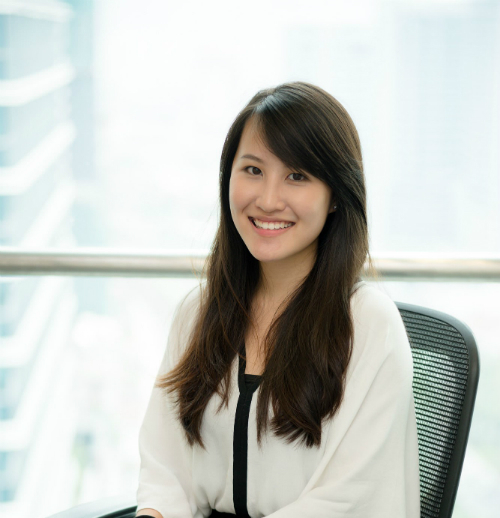 As a valued Monash Malaysia Business alumna, what first attracted you to the university? Why did you choose to apply for this specific academic institution? Apart from Monash University’s strong track record both locally and internationally, Monash University’s motto, “Ancora Imparo” (I am still learning) resonated strongly with me; as it speaks volumes about the pedagogy and perspectives employed by Monash University. I believe that we are equipped to learn in University, and that the search for knowledge continues even after you graduate. Fun fact: My parents are both Monash University Alumni! According to CEO World Magazine, Malaysia is currently at the forefront of global business by being the best country to invest in. What is your opinion of this recent revelation? In my opinion, this rings true with Southeast Asia being one of the world’s fastest growing economies. With this, 3 drivers come into play: Firstly – our skilled talent pool in Malaysia, with high English language proficiency; ranked top 3 among Asian nations in 2018. Next is the cost competitiveness of setting up a business in Malaysia, supported by investor-friendly business policies and incentives; from Pioneer Status and Investment Tax Allowance by the government, making our country an attractive place for investors. Lastly, the change in government has increased investors’ confidence on the outlook of our economy. Compared to ten years ago, how do you think the business education scene in Malaysia has evolved? Is it the ideal hub for international students to invest their higher education studies into? In my view, the business education scene in Malaysia has evolved, with higher emphasis on technology, and through new subjects like entrepreneurship and innovation incorporated into the course syllabus. With the rise of tech giants and growth in the start-up scene globally, Universities have seized the opportunity to improve students’ critical thinking skills, creativity, and communication skills through the way courses are delivered. In addition to that, incubators have been set up in a number of Universities, serving as a platform for students to learn through transforming their ideas into reality! Malaysia is an attractive country for international students to pursue their higher education due to the quality of education, affordability and abundance of opportunities for fresh graduates. Monash Malaysia is recognised as an academic powerhouse with business courses that inspire today’s innovators and entrepreneurs. How did Monash inspire you to secure your career goals? Monash inspired me through providing a strong infrastructure and support system throughout my education, from tutors who were passionate and competent, to staff from the career development team who helped connect us with employers; which eventually led me to securing my first job before I graduated! This didn’t end there; because as an Alumna of Monash University, I have continued to receive unwavering support from Monash University staff, including being part of a strong Alumni network. On their website, Monash Malaysia Business states, “Our graduates are already shaping the future in major corporations around the world.” As one of those graduates, how did Monash help prepare you to shape the future? Monash equipped me with the skills, environment and exposure that I needed to be a lifelong learner. Ancora Imparo. As a member of the Monash Malaysia Business Alumni Chapter (MMBAC), what advice can you offer future students who wish to apply to Monash? While you’re studying, be disciplined, adaptable, and curious. After you graduate, stay connected with the Monash Alumni network!